So, you’ve been successful in getting a great new job, the one you had been set on, and naturally you are feeling very good about it: new challenges; new people; better prospects; and more money in the bank. 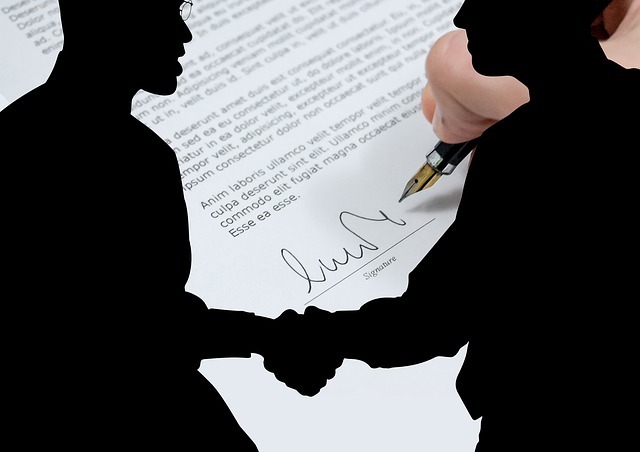 Once you have a formal written offer, you visit your manager’s office prepared to hand in your resignation. Of course your employer won’t want to see you go; apart from losing you as a valued employee, there is the added cost and uncertainly of finding your replacement, so the natural thing is for your employer to make a counter offer that might closely match, or even exceed, that from your potential new employer. Nowadays it isn’t unusual for employers to offer up to a 25% salary boost if you will agree to say onboard. There could of course be a caveat: when companies make counter offers, it is generally a one off deal, and not something that they are willing to do for you on a regular basis. There might also be changes to your contract, which are designed to ensure that you stay with your current employer for a specified minimum term. Although counter offers are very common, some employers don’t make them on principal. There are a number of reasons for this. They might wish to avoid creating a culture in which their employees apply for jobs primarily in order to attract a counter offer; after all it’s potentially a great way to boost your salary. Another reason is that they might consider that any employee who would prefer to work for another employer they would rather let go anyway. The obvious upside of accepting the counter offer is that you will have gained a pay increase without the inconvenience of starting a new job. However the downside could be that doing so will have a detrimental effect on your long term career. After all you will have had a number of reasons for changing jobs, for instance better long term prospects, that are as or more important than a better remuneration package. Also you should consider the possibility that over time your old employer might try to claw back some of the increase by treating you less favourably than your colleagues at the next and subsequent pay reviews. There is also the possibility that the level of trust between you and your employer will have been compromised. You have been brave enough and successful enough to find a better position, so why not stick to your guns? Remember that your current employer only upped the stakes after they knew that you were intending to leave; perhaps they should have been a little more proactive in looking after your interests in the first place. Starting with a clean slate and a new employer could be the very best way of moving forward rapidly in your career. You were happy with your package before your counter offer so attempting to renegotiate it now is likely to look greedy and it isn’t a great way to start a new job. Even if you new employer is willing to be ‘gazumped’ they could be a little resentful about the situation. It is probably the riskiest of the three options, but if you feel that is what you want to do it might work, but doing so could be counterproductive. This is an important time in your career, so take your time and avoid any knee jerk reactions. Consider all your options very carefully and do nothing until your offer and counter offer are made in writing. If you are confused or uncertain don’t hesitate to seek advice from experts in the field. Above all don’t be flattered by the counter offer; it might be a case of closing the stable door after the horse has bolted. Ultimately it is your choice: think long; weigh up your options; and, if it’s the right thing to do, move on. Good luck.